Happy Bloggers Challenge Friday! Thanks to those who played along with the Think Spring Challenge last week. The challenge this week is Animals. 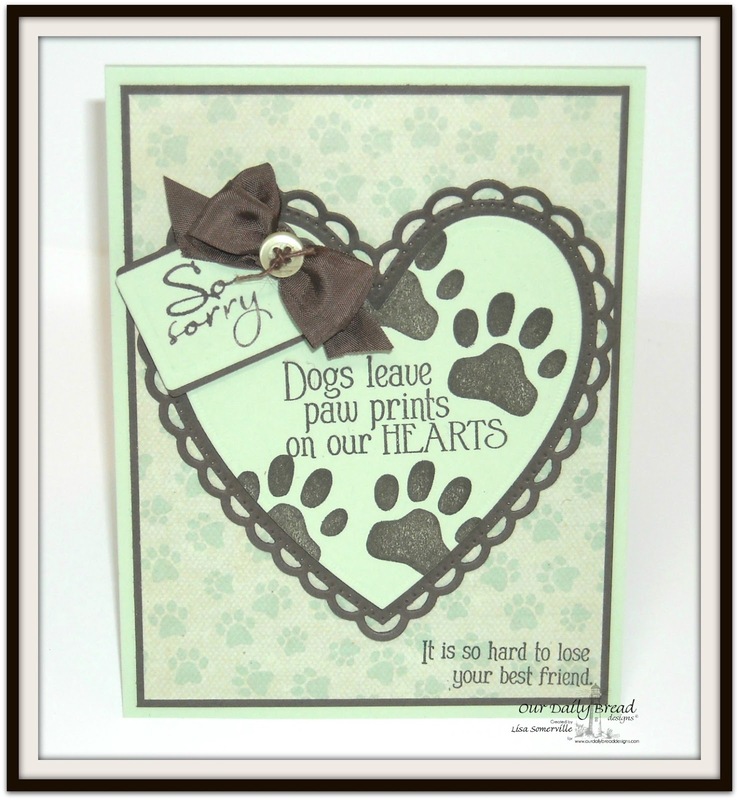 To create my card I used Our Daily Bread Designs Dog Sympathy and Paw Prints stamp sets along with the ODBD Custom Ornate Hearts Dies and Custom Recipe Card and Tags Dies. If you'd like to play along with this weeks Bloggers Challenge, please link back to this post on your blog and mention you created your card for the Bloggers Challenge Animals Challenge. Please add your link using the Link Tool below, your link should be a direct link to your Bloggers Challenge Post, use your name as the Title. Please do not link to cards that were created prior to the challenge date. Entries not linking properly, or backlinked will be removed. If you have the captcha enabled on your blog, please consider turning it off, as it makes it so much easier to leave comments. So pretty, Lisa! I'm sure the recipient will really appreciate the card. Such a true sentiment, Lisa! Your card is quite lovely and the heart frame is wonderful. Hope you have a great weekend! Your card is really beautiful and the sentiment is so true - even with cats! 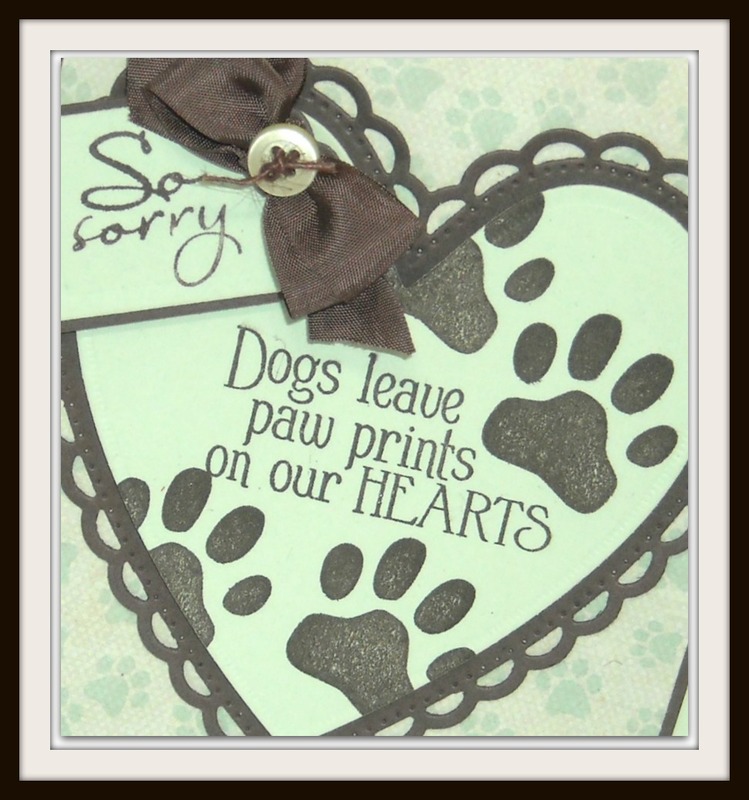 A great card for those with a furry friend. Cute card!!! Always so bittersweet to see these cards. Aw! So sweet!! Love your design Lisa!! It is always so sad when you need to send one of these though. Thanks for supporting the challenge this week Lisa!! !